College of Education Academic Staff Union (COEASU) Begins Indefinite Strike Action Nationwide Due to Delayed, Half and Non-Payment of Staffs Salaries In State Colleges of Education. 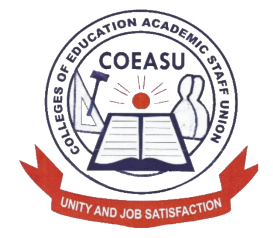 The president of the Colleges of Education Academic Staff Union, COEASU, Nuhu Ogirima has directed members in all 47 colleges across the country to begin indefinite strike from Tuesday, October 9, 2018. The colleges of education teachers also accused government of showing preference for the Academic Staff Union of Universities, ASUU, with the approval of over 20 billion naira for infrastructure in universities.